I received a less than acceptable coin that never should have been shipped to me in the first place. The supposedly BU $5 Gold US Marshall was broken out of the plastic sealed capsule when it arrived and was certainly not a BU class coin. We document and video the opening of every delivery for proof. We notified Apmex and they have failed to respond, blocked my review of what I received and made no good faith attempt to even discuss the matter. Easy to understand the rapid decline in the reputation of this company in the online reviews and social media. The bad reviews are 100% accurate. 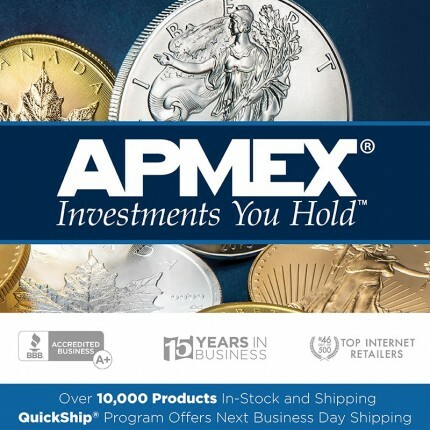 I would never buy from Apmex again and would never suggest that anyone else buy from this company.